Royal Parking’s valet professionals provide excellent valet and shuttle services to some of the most reputable names in hospitality, air travel, and healthcare throughout the country. With base offices in North Carolina, Virginia, Florida, and Washington, DC, Royal specializes in premier customer service and quick, custom parking solutions. As a national leader in creating the ultimate customer experience, we are always developing new ways to serve you and your guests. Our service offerings are constantly evolving, so if you have a service request that is particular to your company, let us know. We are more than happy to adapt to your valet parking needs. Customized valet parking solutions — Our team has executed flawless valet parking procedures for countless hotels, restaurants, airports, retail locations/malls, hospitals, and more. Every location is unique and has specific needs that you can trust Royal Parking to deliver on. Shuttle service — Professional, timely shuttle service operated and managed by a team with shuttle experience! Royal Parking can operate and manage your airport, campus, or healthcare shuttle so you don’t have to. Cater to the needs of your customers/guests without the hassle. Specialized duties — Royal’s team of valet parking professionals has acquired the customer service skills to attend to any special duties you may need covered. 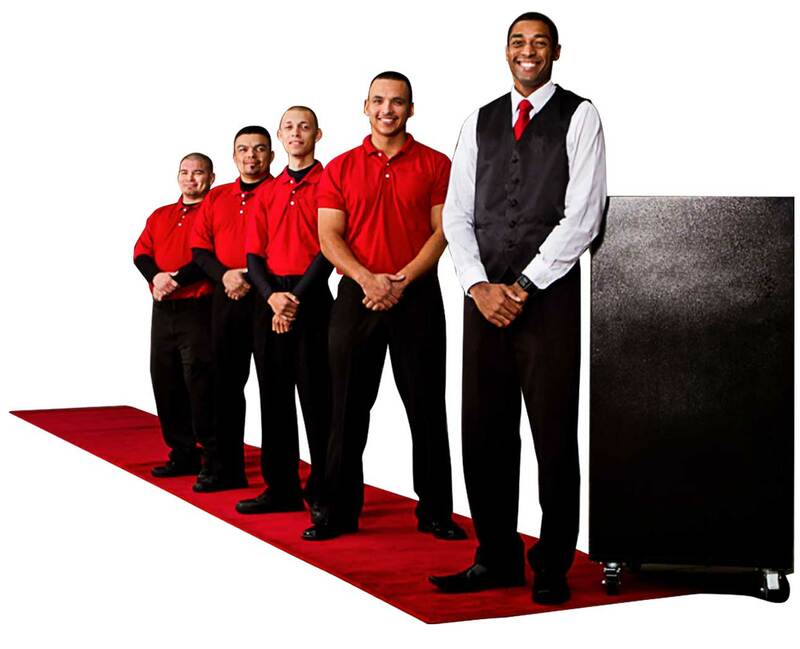 Our team can operate as doormen, bellmen, direction attendants, traffic controllers, and more. Royal is flexible and quick to go the extra mile for you and your guests. Royal Parking is prepared, experienced, professional, and determined to exceed the expectations of your customers. We appreciate the opportunity to represent you and your business as we strive to create a unique, lasting impression. Contact us today to learn more about what we can do for you and your guests. We look forward to serving you!